If you have an autoimmune condition, struggle with healing symptoms outside of the standard pharmaceutical realms, or you are interested in keeping symptoms of adrenal fatigue at bay then you’ve probably heard of adaptogenic herbs. Adaptogenic herbs can possibly be really good for us. I personally am not able to use them as they do not fair well for me, but I cannot ignore the hype they have produced for others. There is not a ton of scientific data on adaptogenic herbs but their presence in Chinese and Eastern medicine has allotted them a positive reputation. I have gone ahead and compiled the alleged uses for each of the most popular herbs below. Please note that because the scientific data is not fully present for all of these, that you should consult with a doctor before introducing them into your wellness regime. These herbs have been used in Chinese and Eastern medicine for thousands of years. Recently they have gained momentum amongst the paleosphere because of their medicinal, natural properties that have minimal side effects. Adaptogenic herbs are most commonly known for their role in aiding and helping eliminate adrenal fatigue. (What is adrenal fatigue? Check out my thoughts on this condition here) They have been making headlines consistently for their cortisol lowering properties, in turn, supporting positive hormonal health. To meet the qualifications, an herb must be nontoxic, the benefits of the herb must be nonspecific, meaning it has an overall positive effect on the bodies resistance to stress, and lastly all bodily functions are being balanced not just the areas causing inflammation or distress. Adaptogens, nonetheless, are called so because of their ability to help the body adapt to stressors. Maybe these herbs can aid in these conditions. BUT – if you haven’t tried healing your gut, eliminating processed foods and the Standard American Diet, or taken additional steps for long-term better health, then adaptogenic herbs will not be the cure-all. When used responsibly, these are apart of an entire regime of well-rounded health, rather than just a band-aid. Adaptogenic herbs are well studied in the herbalist communities for their variety of uses. As noted by the Paleo Mom, adaptogens have either a stimulating or relaxing effect, so it is best to know where your cortisol levels are at before selecting an herb. Maca – This well-known root is known to increase stamina, libido, sexual function, improve mood, energy and strength. There are three distinct types, red, black, and yellow maca. Black maca has been found to have the highest increase in sperm production. Maca contains a large quantity of Vitamin C but also contains phytonutrients. Holy Basil – Holy Basil is known most for its antioxidant and anti-inflammatory properties, being on the stimulating end of adaptogenic herbs, but only mildly stimulating. Holy Basil is used to help combat brain fog and improve concentration. Holy Basil also supports blood sugar regulation and improves digestive issues such as gas. Ashwagandha– A well-known Ayurveda medicinal plant, Ashwagandha is best known for treating adrenal fatigue. Being the most relaxing of the adaptogenic herbs, Ashwagandha carries anti-depression and anti-anxiety effects. Ashwagandha is a nightshade though, so those on the autoimmune protocol should be wary. 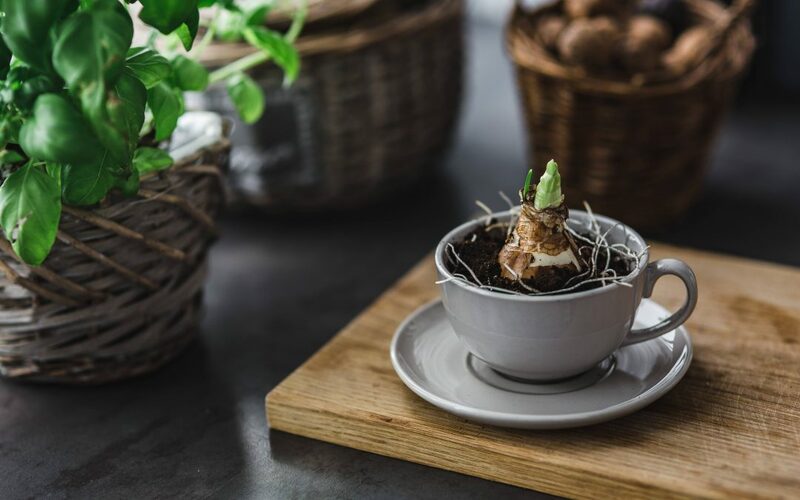 Golden Root – A more stimulatory adaptogenic herb, golden root or Rhodiola Rosea increases endurance, reduces fatigue and has been used to help aid depression. Those who are dealing with a stressful job or daily activity could consider this as an option. It has been known to support those that have cancer, fibromyalgia, chronic fatigue syndrome, type II diabetes, and heart issues. Golden root is a stimulating adaptogen. It has been known to cause insomnia in those who are sensitive, and can be drying on the body. Use with caution if you have constipation or dry mouth. Asian Ginseng – Considered the most stimulating, this herb supports cortisol production. It contains more than 35 Ginsenosides which produce anti-inflammatory, antioxidant, anti-cancer, and immune modulating effects in lab research. One study indicated Gingko Bioba and Panax Ginseng possess anti-stress properties in rats. Healing properties vary based on root age, species of ginseng, and where and how it was harvested. This adaptogenic herb can increase anxiety and insomnia. Siberian Gingseng or Eleuthero–Another mildly stimulating adaptogen, Siberian Ginseng is used to improve mood, increase the performance of physical activity and assist in resistance to stress and infections. This is a great herb to supplement with during times of chronic stress. Different than other versions, Siberian Ginseng has less impact on increasing anxiety and insomnia. Eleuthero can also raise low DHEA levels. Gotu Kola – This herb is relaxing, and may have cognitive benefits. Gotu Kola is a well-known treatment for varicose veins and chronic venous insufficiency. It has been used to aid psoriasis symptoms also. Gotu Kola contains Triterpenoids, which strengthen skin, increase blood flow, and stimulate antioxidants in open wounds. There is some speculation that Triterpenoids have anti-anxiety effects as well. So How Do You Take Them? Adaptogenic herbs can be found in pill or powder form, typically. Adaptogenic herbs may increase blood flow and bleeding, so those with anti-clotting diseases must be advised. They can also lower blood sugar levels which may be dangerous for those on diabetic medication. Women who are breastfeeding or pregnant, those on medications, or with autoimmune conditions should consult with their doctor before ingesting. Adaptogenic herbs have been used in traditional healing techniques for thousands of years. Their natural healing properties are being studied more and more today, as assistants to pharmaceutical medications. Their healing properties cannot be denied, however before you consider using any type of adaptogenic herbs contact your physician first. Side effects vary for each herb, and drug interactions may occur. What is your verdict? Would you consider using adaptogenic herbs as a supplementation?